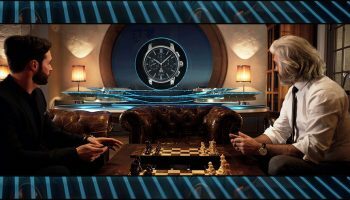 It’s a rare pleasure indeed when not just one, but two blue timekeepers appear on the horizon, both from Glashütte Original. But then summer is a magical time of year, and shades of blue are everywhere: from the azure skies to the turquoise of the sea surrounding a sailboat, the reflection of a glacier in a mountain lake, the shimmering sky on a clear, starry night: The colour blue reveals its fascinating facets at the most beautiful time of year – and, thanks to the Saxon watchmaker, on the wrists of men and women around the world this summer. 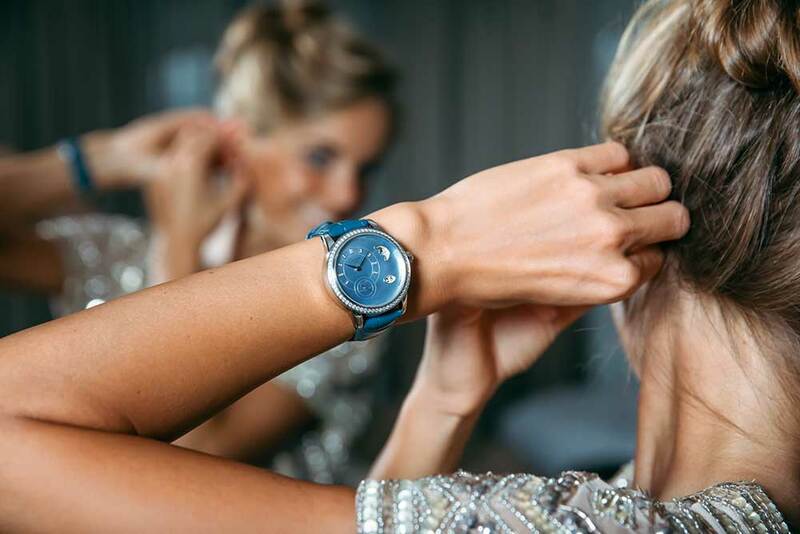 The PanoMaticLunar watch for men unites a rich midnight blue and cool stainless steel in powerful harmony, while the delicate light blue of the PanoMatic Luna lady’s watch radiates a refreshing lightness. 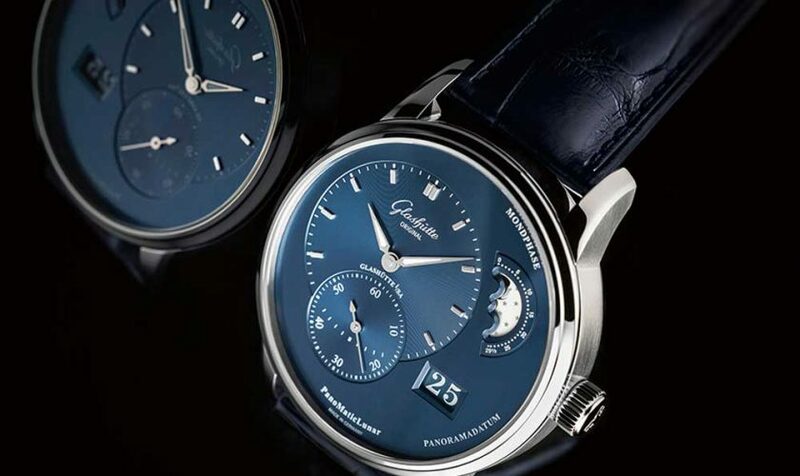 And yet these two blue wonders have even more in common: Slim white gold hands trace their paths across asymmetrically designed dials on both models. This characteristic design feature of its Pano models allows the Saxon manufactory to make room for two distinctive complications: the refined, elaborately worked moon phase and the Glashütte Original Panorama Date. The characteristic “big date” celebrates its 20th anniversary this year. The manufactory presented the mechanism, as innovative as it is sophisticated, in 1997. Today it adorns numerous models in the collection and has become a signature feature of the brand. 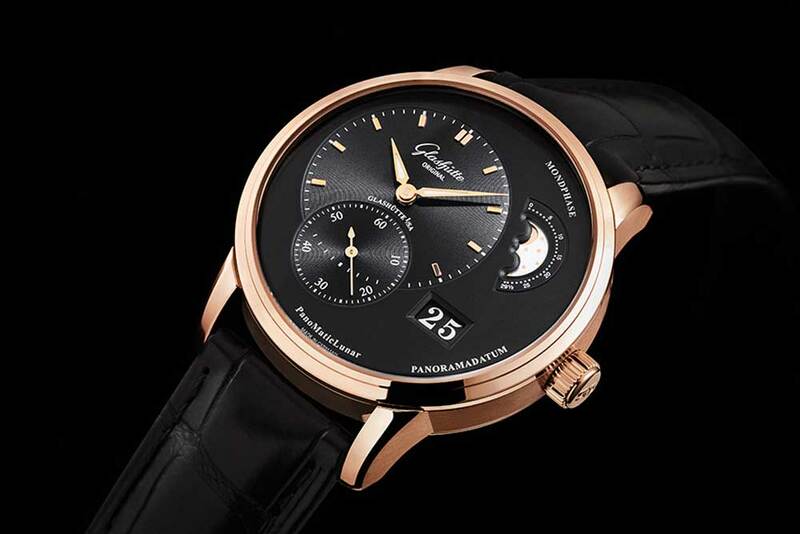 With the PanoMaticLunar Glashütte Original unites characteristic facets of its horological art in an exclusive timepiece. 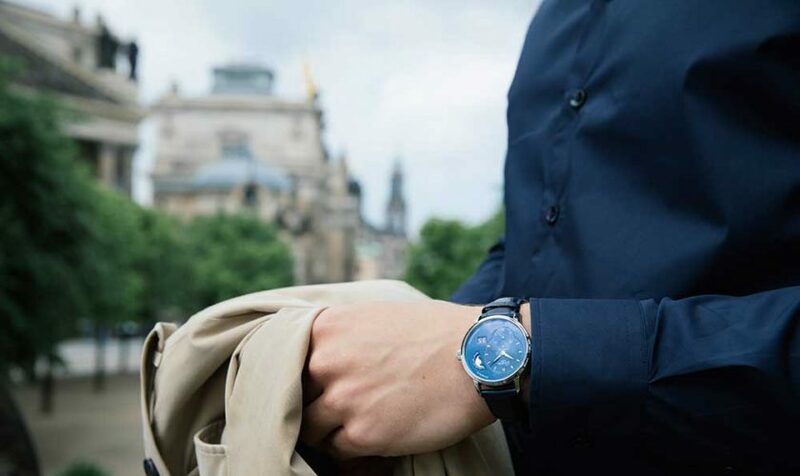 Clarity, strength, peace, freedom and depth: these qualities, traditionally attributed to the colour blue, characterise this elegant men’s watch as well. 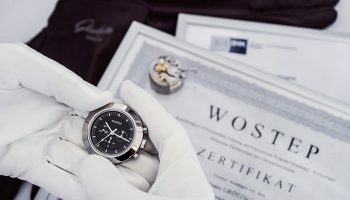 It’s the experienced team at Glashütte Original’s in-house dial manufactory in Pforzheim, Germany, who determine the perfect shade of blue of this timepiece’s highly refined dial. 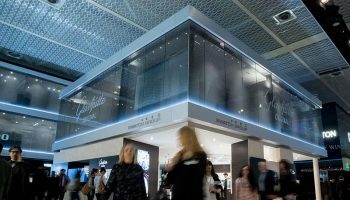 The desired hue can only be achieved through attentive monitoring of the galvanisation and of a total of 40 precisely defined steps in the manufacturing. 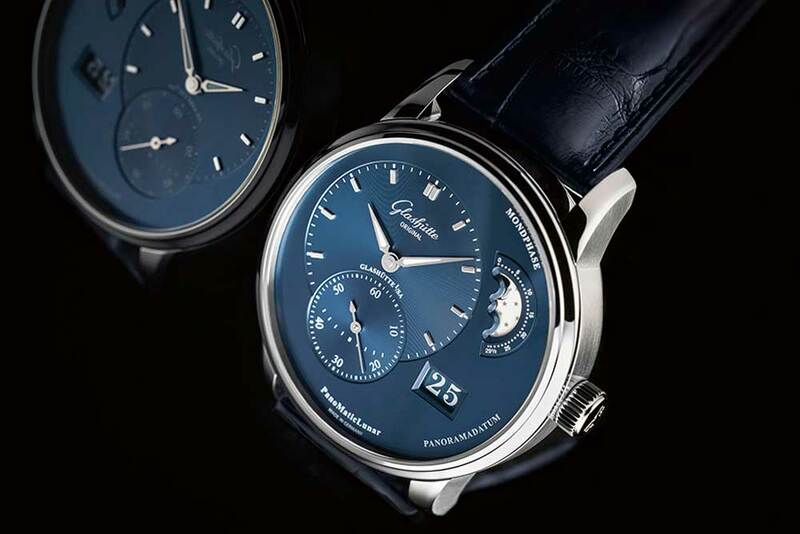 The Pforzheim experts can also take credit for the graceful shape of the moon phase display at 2 o’clock, with its silvery moon and stars set against a silver night sky. 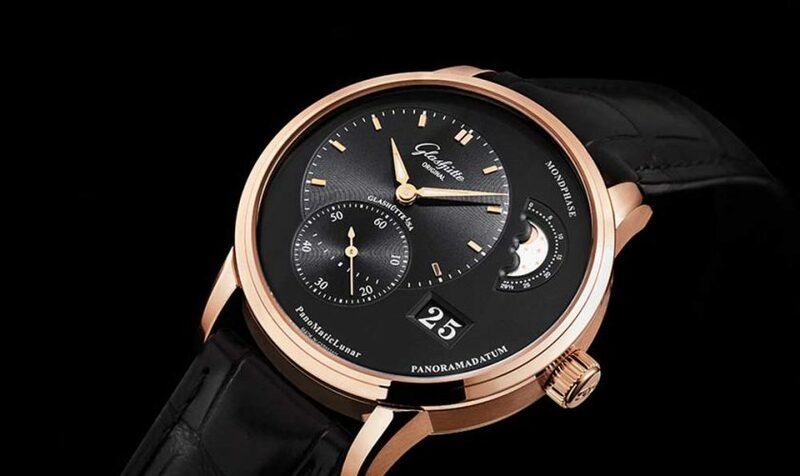 The clarity of the design and the characteristic off-centre displays take pride of place with the PanoMaticLunar. The arrangement of the individual displays on the dial is inspired by the golden ratio – the legendary law of aesthetic harmony. 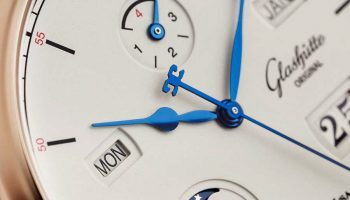 With this timepiece the focus is on the Glashütte Original Panorama Date in particular, presented here in white numerals against a blue ground. 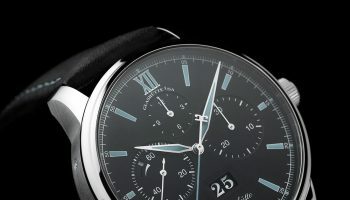 The characteristic big date has been a distinctive element of the Glashütte Original style for twenty years. 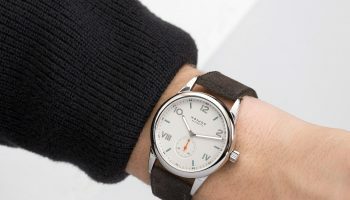 It is based on two concentrically arranged discs mounted on the same plane, which allows the two numerals composing the date to be considerably larger than on comparable watches; the absence of the vertical bar dividing the numerals renders the date perfectly legible at a glance. 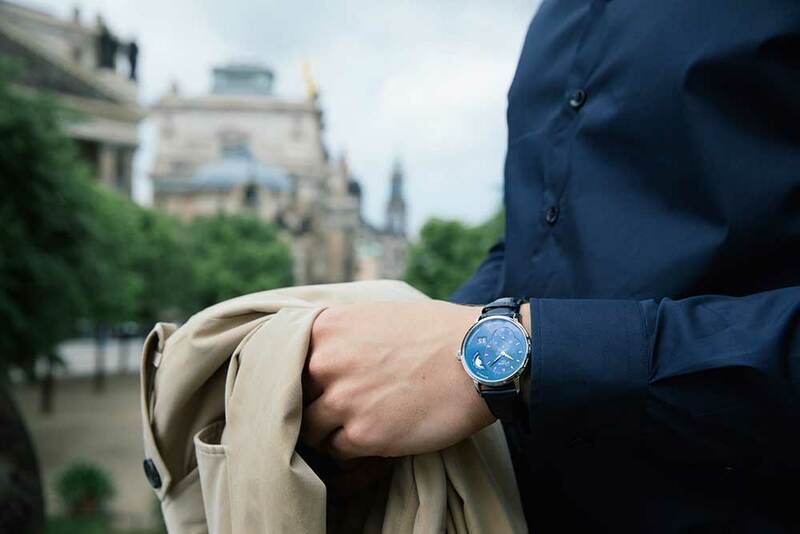 Fashionably enhancing this alliance of first class horological art and original design, a fascinating combination of cool stainless steel and powerful blue – and an ideal companion for the summer of 2017 – is a dark blue calfskin strap. The PanoMatic Luna lends the sunniest time of year a brilliance of its own – no matter where and how the woman wearing it chooses to spend her time. 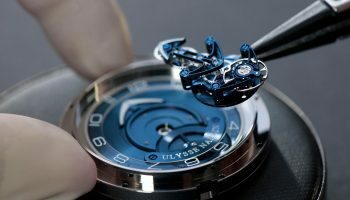 The enchanting, delicate blue mother-of-pearl dial is the product of expert craftsmanship in the watchmaker’s in-house dial manufactory. Mother of pearl is an organic/inorganic composite harvested from the inmost layer of certain mollusc shells. 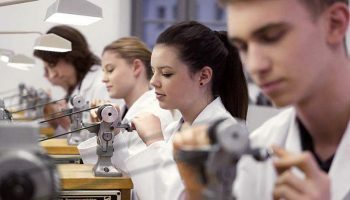 Utmost care must be taken when transforming the fragile material into the razor-thin “face” of an elegant ladies’ watch. To achieve the precise hue desired, the back of the delicate white source material is carefully coated with a layer of lacquer. 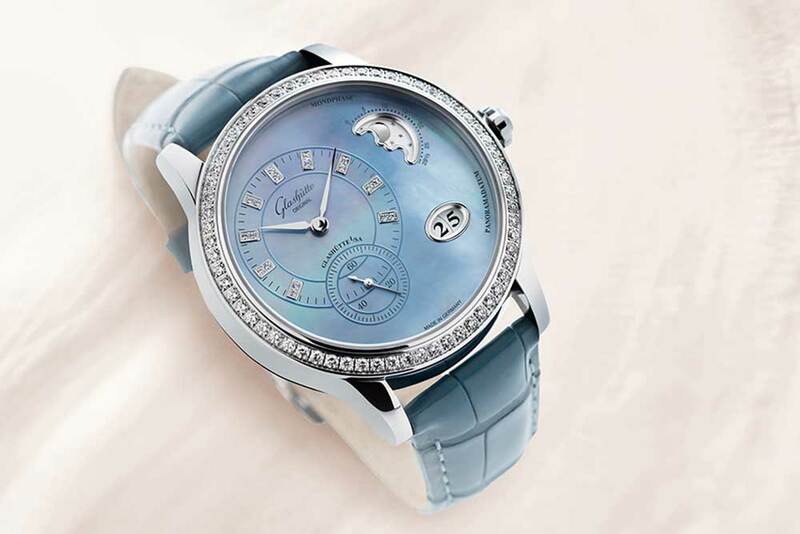 The dial presents an individual aspect with the mother of pearl’s natural graining, which renders each piece absolutely unique. 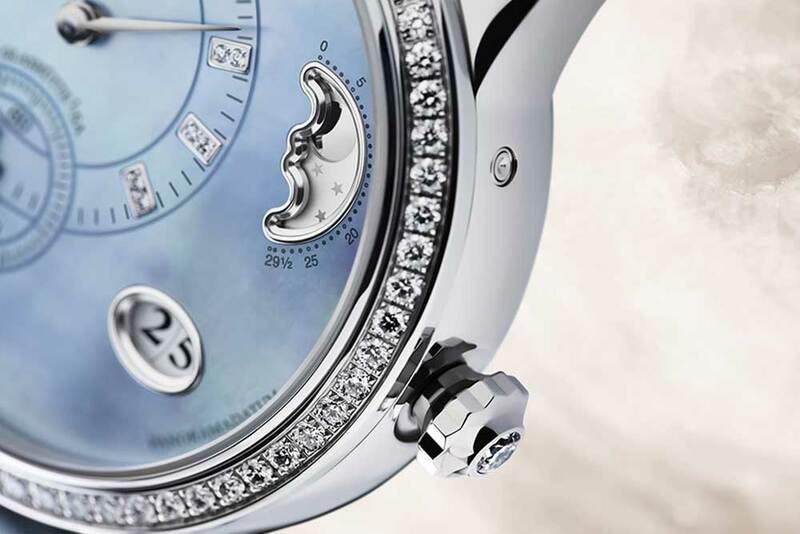 The starry sky of the moon phase display at 2 o’clock forms a glittering silver arch beneath the graceful curves of the moon in relief. Its elegant curve emerges as the result of careful diamond milling performed with expert skill, lending the silhouette visual depth. 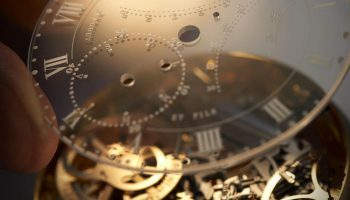 The display, as traditional as it is artful, can be found at 2 o’clock, and represents a true rarity in a mechanical ladies’ watch. 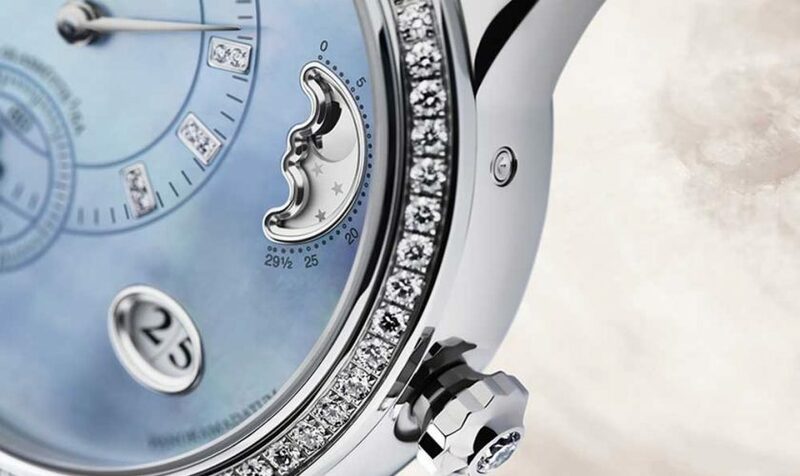 And finally, a total of 83 radiant white brillant-cut diamonds sparkle on the bezel, the dial indexes and winding screw crown. 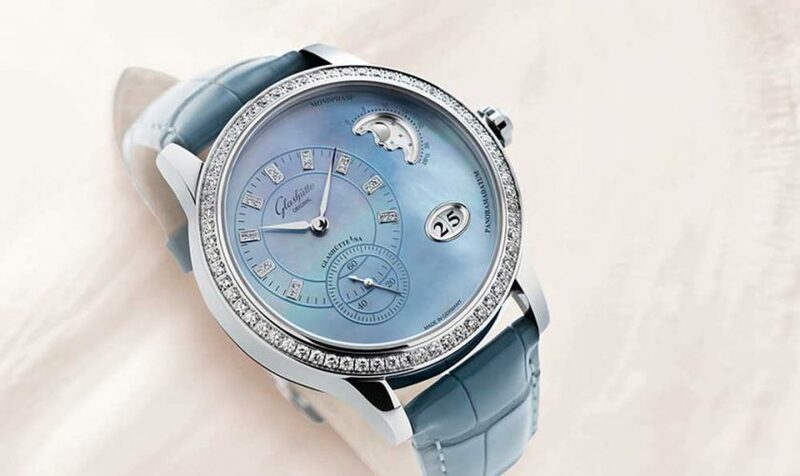 They frame the Glashütte Original Panorama Date as well, which – complementing the elegant design of the PanoMatic Luna – appears in an oval dial window at 4 o’clock. 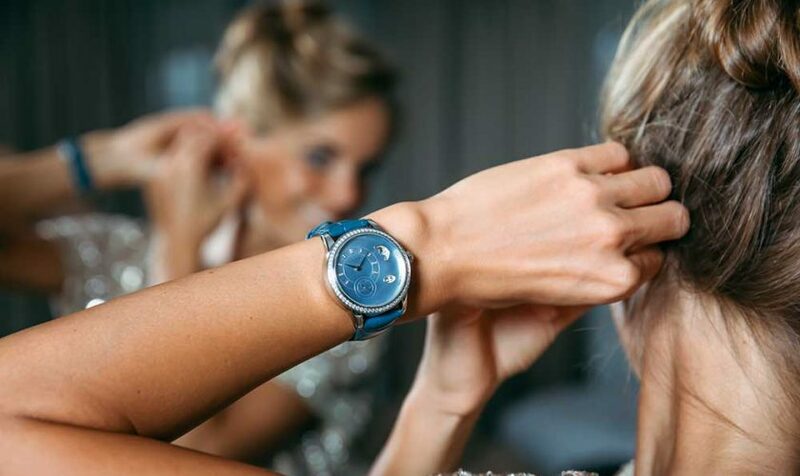 The unique Panorama Date, the distinctive dial, the exceptional moon phase: The PanoMatic Luna, perfectly enhanced with a Louisiana alligator leather strap, is a heavenly blue masterpiece that opens new horizons to watch connoisseurs – and not only in summer.